Click the tabs below to toggle between Royal Caribbean Italy Cruises from Rome and Venice. Guaranteed lowest price, best deals, more amenities on all Royal Caribbean Cruises from Rome and Venice. ItalianTourism.us offers exclusive Royal Caribbean Italy cruise packages with airfare to Italy. ItalianTourism.us also offers exclusive Royal Caribbean cruises with tours of Italy. Submit form for ItalianTourism.us Italy cruise with airfare options. Or contact ItalianTourism.us with more details about your Mediterranean cruise plans and we’ll help you plan and book a lovely and relaxing cruise around Italy aboard Royal Caribbean Cruises. Royal Caribbean cruises from Rome embark Civitavecchia cruise port. 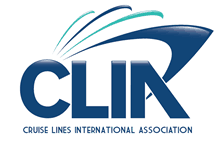 Located about an hour from central Rome, all cruise lines embarking Rome dock in Civitavecchia. You may see stateroom availability and even book your Royal Caribbean cruise online by clicking the “Check Availability” link. For Royal Caribbean Cruises from Venice click here. Royal Caribbean Cruises from Venice depart from the Venice cruise port located off the mainland. For more information about Venice hotels and traveling to the Venice cruise port review the Venice cruises page. For Royal Caribbean Cruises from Rome click here.